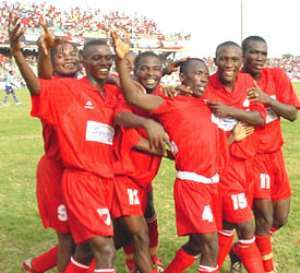 League champions Kumasi Asante Kotoko have decided to offload some players ahead of the new season. The porcupine warriors who currently have forty-five players on the payroll are pruning the squad to cut expenditure, which runs into several millions every month. According to a source, a number of notable faces who enjoyed less playing time last season would be affected by the retrenchment. The club is nonetheless doubling efforts to sign on two additional players for the upcoming season. The King Faisal duo of Hamza Mohammed and Abubakar Yahuza are the targets of the porcupine warriors. But, Faisal chairman, Alhaji Grunsah is not ready to negotiate with Asante Kotoko for any of his players until they pay up the full transfer fees of Frank Osei and Yusif Chibsah, which are still in arrears.